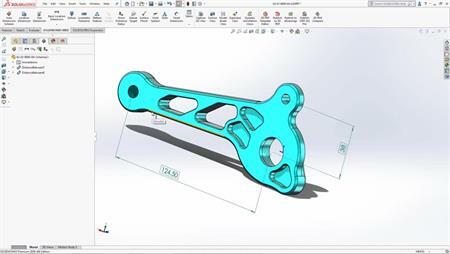 The Inspection Standalone application allows creation of ballooned drawings and First Article Inspection Reports from third party applications independent of SOLIDWORKS. We explore the new compatible file formats, including 3D solid files from Catia, Pro E, and Inventor. Now it is possible to create 3D inspection documentation in these formats. We explore the new to 2018 SmartExtract tool, which inserts your balloons at a click of the button. Exporting these ballooned components to a 3D PDF now enables universal distribution of inspection documentation that won’t be misinterpreted. Using a dwg drawing, we use the new SmartExtract file to quickly and accurately extract all the characteristics, with Inspection Standalone automatically calculating our upper and lower limits. We explore the new flexibility in the collation of the characteristics which makes the Standalone application even more user friendly.